Do you have a friend who is just starting out as a runner? Do you know someone who is preparing for a 5K or triathlon? Maybe even a marathon? 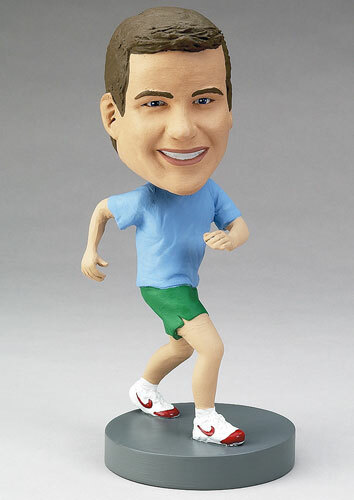 Cheer them on with a custom bobblehead! Change the outfit to reflect their personality; engrave the base with an inspirational quote for them; give it to them when they cross the finish line! It makes the perfect gift for runners.